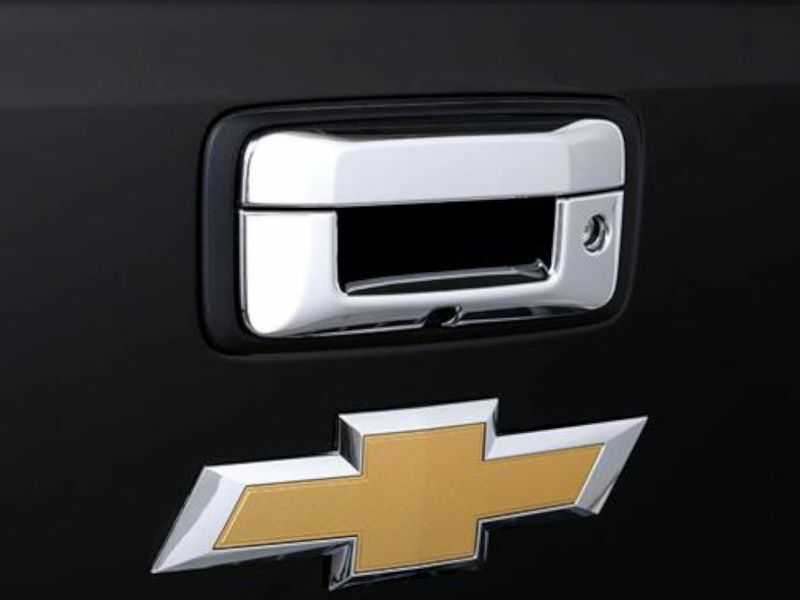 A Putco chrome tailgate handle cover gives you a simple and easy way to add an extra dash of flair to your truck. These chrome tailgate handles have a chrome finish designed to match & compliment any existing factory chrome on your truck. Putco uses an extremely durable ABS material for the tailgate handle covers. No matter where you live this tailgate handle can take any punishment Mother Nature throws your way. Your chrome tailgate handle cover will look great for years. Chrome tailgate handle covers mount quickly and easily without any cutting or drilling required. Putco pre-applies automotive grade tape for your convenience. It's time to make your truck stand out with a high quality tailgate handle cover!